The Flash Flood Warning has expired but much of the valley saw rain and others saw flooding. A Flash Flood Warning has been issued for west central Clark County until 5:30 p.m.
Storms are developing in Las Vegas proper. More storms are approaching from the southwest. 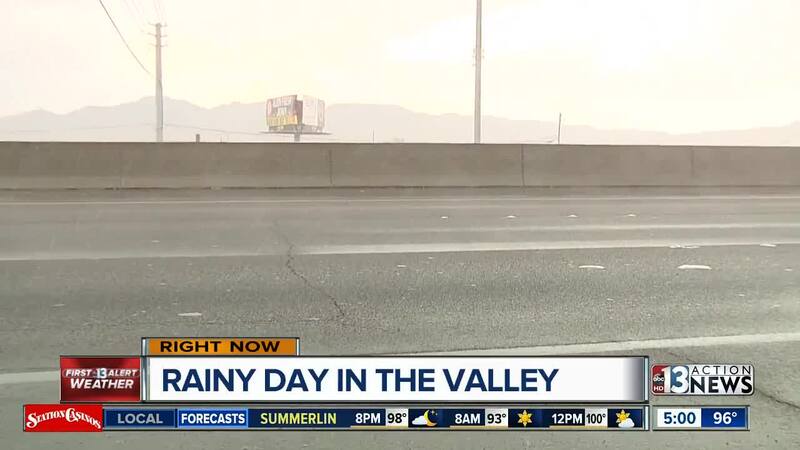 There are reports of rain in the southern parts of the las Vegas valley. Here is the latest from Chief Meteorologist Bryan Scofield. There is a Severe Thunderstorm Warning in effect for northwestern Arizona and central Clark County until 1:30 p.m. The storm could bring heavy rain and hail to the area. The storm is currently moving into the Boulder City area.